How Can I Sort My Music By Set? – Soundburst Audio Distributors, Inc.
How Can I Sort My Music By Set? Soundburst has made some adjustments to your music so that each track also tells you which set it is used in. 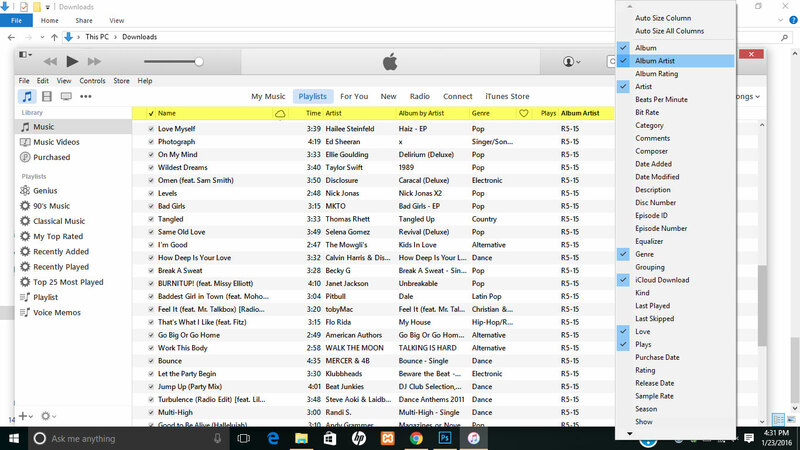 To see which set it’s in, right click on the menu bar (shown in yellow) at the top of your music in iTunes. A menu opens with all of the different viewing options opens. Select ALBUM ARTIST. Your set now appears as part of your description. You can click on Album Artist to show your songs in order by set. Next Can I Request An Old Song? Previous How Do I Extract My Zip File?